The warm tropical vibrations of the Indian Ocean run through the capital city of Maputo in Mozambique. With more than 1.2 million residents, it is the largest city in the country. Maputo boasts picturesque streets, stunning beaches, exotic bazaars and an invitation to the wild! 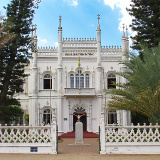 Top attractions include Inhaca Island, Maputo Train Station and the Natural History Museum. Get ready for a trip to paradise, because cheap flights to Maputo are now available for a limited period of time! 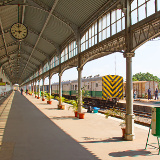 Maputo is home to Maputo International Airport (MPM), which is a 20-minute drive from the city centre. Taste your way through the city with tropical fruits, nuts and fragrant spices in the markets and bazaars of Maputo. Peri-peri cashew nuts are especially popular with the locals. Sandy white stretches meet the warm waters of the Indian Ocean on the beaches of Maputo. Costa do Sol and Bilene beach are definite must-visits. 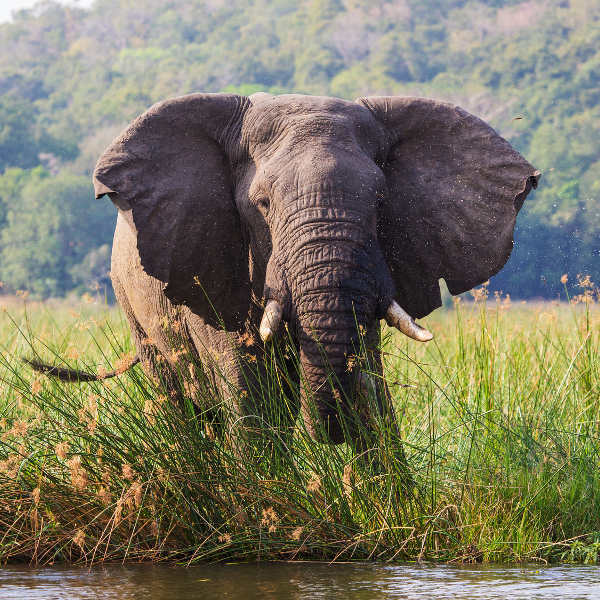 Just a stone’s throw out of the city, find yourself in a hidden paradise where majestic elephants, rhinos and other animals roam freely at the Maputo Special Reserve. 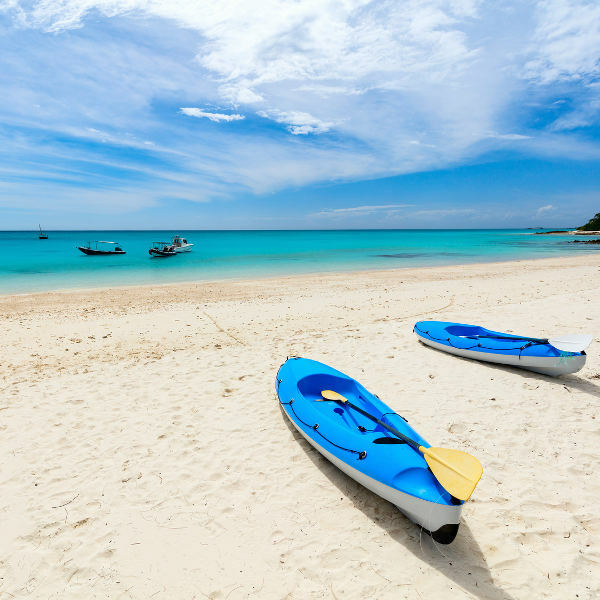 Mozambique experiences a tropical climate, with temperatures throughout the year that are generally quite warm, and with the warmer days (November to March) bringing in the most rain. The coldest (average 13°C) and driest months are also peak season: June to August. During this time you will find days upon days of perfect weather and clear skies. For cheap flights to Maputo, consider going between December and April. It is a bit wet during this time, but the sun never hides for too long in this tropical destination. With its warm waters that gently caress your ankles and its exotic fruits and nuts found on most corners, Maputo is fast becoming one of Africa’s most visited cities. 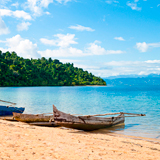 The country of Mozambique was first mentioned in the works of Portuguese navigator, Vasco de Gama, and since the 1400s, this tropical land has been one that entices visitors. The shores of Maputo are sandy white paradises surrounded by warm water from the Indian Ocean. If you enjoy exploring the mystical floors of oceans, then you’re in luck, as snorkelling is one of the top things to do. For a bit of sunbathing, take a tuk-tuk to the picturesque beaches of Costa do Sol and Bilene beach. Maputo Central Market and Praça 25 de Junho are both fantastic markets run by local vendors that sell a large range of items and tasty treats. 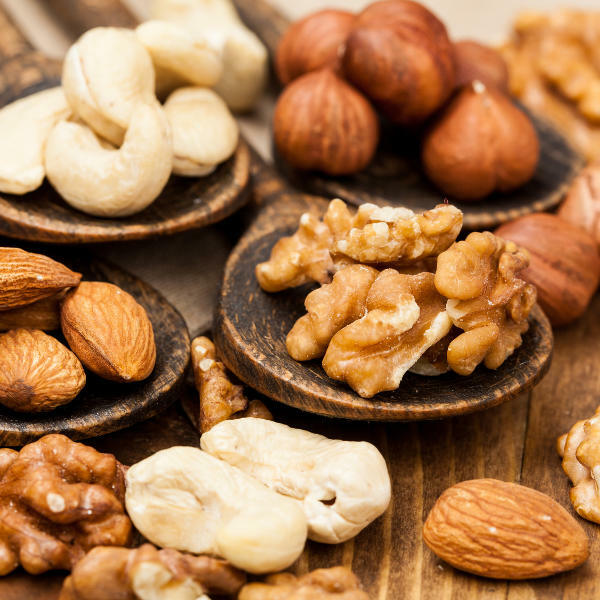 Maputo is famous for its nuts, especially the peri-peri cashew nuts. Be sure to give them a try! To spend some time in a completely unspoiled and natural environment, make a day trip to the Maputo Special Reserve, which is 100 km out of the city centre. The area is all bushveld, woodlands and hidden gems. The animals roam freely here, so you’ll need to go with a guide. Compare several airlines, and book your cheap flights to Maputo online at Travelstart! The people of Maputo are warm and welcoming, and the city is quite safe for travellers. However, as it is a big city, it is recommended that you leave valuables in your hotel and do not walk around with large wads of cash. Use a private taxi when travelling around at night. It is always important to go for a general health check-up before a trip overseas. For your trip to Maputo, it is strongly recommended that you get the following vaccinations: hepatitis A and typhoid. You should also use anti-malarial medications and take the necessary precautions to avoid mosquito bites, as malaria is a risk in Mozambique. Whether you want to be in the city centre, in the tropical suburbs or overlooking the Indian Ocean as you sleep – Maputo has accommodation for all. In the middle of the city centre, in Avenida 24 Julho, is where you can find some of the best hotels. Here you can find mid-to-high range priced hotels that are the best in the city. There are some beautiful guesthouses and B&B’s available at much more reasonable rates between the Baixa and Museu areas – two very popular areas of Maputo. Hostel and backpacker accommodation is also available throughout the city. There are many ways to get around the city, but if you would rather use public transport, it would be good idea to have a Portuguese-speaking friend with you. Buses, mini-buses and tuk-tuks are available. If you plan on travelling out of the city, or going out in the evenings, opt for a private taxi. Often, drivers will not run the metre, so make sure to agree on a price before your journey starts. Private taxis are generally reasonably priced, so you should be able to travel comfortably without hurting your budget.